There is no doubt that the gut bacteria are involved in managing a healthy inflammatory response. Because this evidence is so strong and compelling, researchers have taken it to the next step by asking, “Does treating the gut also improve health outside the gut?” The answer is yes, and the studies are fascinating and satisfying for me because my functional and integrative medicine colleagues and I have been working to balance gut bacteria for decades—and have found that enhancing the gut environment does have systemic advantages. As Medical Director at Blum Center for Health, my team and I have been successfully treating our patients using this approach, and that’s why I wrote my newest book, to get the word out that by healing the gut you can affect comfort of joints and other systems of the body. 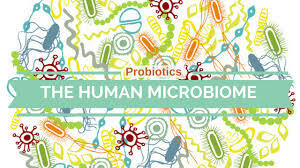 As part of the research that I did for the book, I learned a lot about probiotics. Most people know that taking probiotics is beneficial while taking antibiotics, and also that probiotics can improve gut health. Now, newer research has shown that probiotics are effective in modulating inflammation metabolism too. Probiotics can reduce intestinal permeability and help increase the production of the short-chain fatty acid butyrate, a compound that has huge benefits both locally in the gut and on the immune system throughout the body. When unfavorable bacteria are present in high amounts GI imbalance is the result. 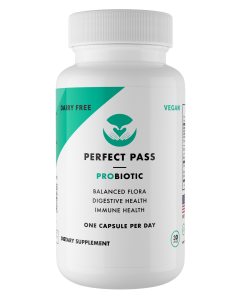 Probiotic supplements are one way that researchers addressed gastrointestinal balance related to overactive inflammatory response and it certainly seems like a good place to start. 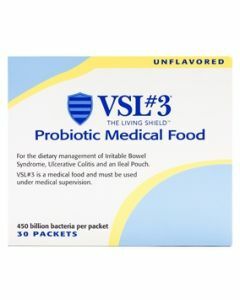 Generally speaking, probiotics are thought to help T regulator immune cells work better and live longer, helping to modulate inflammation, and enhancing the luminal tight junctions. Researchers at Tabriz University of Medical Science in Iran reviewed all the studies looking at the use of probiotics for inflammatory support. Using different probiotic strains, four randomized double-blind, placebo-controlled trials showed that supplementation with Lactobacillus rhamnosus GG, Lactobacillus rhamnosus GR-1, and Lactobacillus reuteri RC-14 improved patients’ well-being (although didn’t change pain scores or inflammatory markers). One month of Bacillus coagulans improved comfort and patient global assessment scores and reduced inflammatory markers. Supplementation with Lactobacillus casei for eight weeks improved comfort, inflammation metabolism, and cytokine balance. These studies clearly show that using probiotics for only a short period of time had a recognizable effect depending on the species and strains used. Early studies on Lactobacillus casei appeared so promising that numerous researchers have continued to look at it. According to one such study, supplementation with L. casei significantly supported inflammation metabolism, comfort, and cytokine balance. Another study confirmed this with a similar set of findings. There were also improvements in inflammation markers and improved DAS28. While studies have not looked at dosing, this study used one daily capsule of 100 million CFU for eight weeks—a low dose by current standards—which highlights that more is not necessarily better. 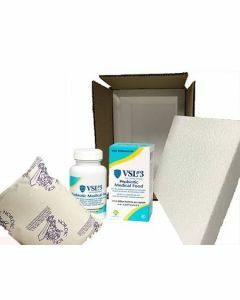 It is crucial to repair the integrity of the gut lining (balance intestinal permeability) and probiotics are certainly a cornerstone of this strategy. The species researched in joint health with the most evidence for an anti-inflammatory effect are lactobacilli: L. casei, L .acidophilus, L. reuteri, L.rhamnosus, and L. salivarius. There is also good evidence that Bifidobacterium bifidum, B. infantis, and L. plantarum improve tight junctions. These data tell me that we are on the right track, that improving the gut microbiota is a good strategy, and that a multi-strain formula that includes as many of these species as possible, with a priority given to those that have been studied and/or proven effective in clinical practice. That’s why I have been using Ther-Biotic Complete as my go-to probiotic and the one that I have used for almost two decades. It has the species I need, and because it is from Klaire, I know that I can trust the quality. A true pioneer in Functional Medicine, Dr. Susan Blum has been treating, healing and preventing chronic diseases for nearly two decades. She is the Founder and Director of Blum Center for Health in Rye Brook, New York. A Preventive Medicine and Chronic Disease Specialist, Dr. Blum is a member of the Medical Advisory Board for The Dr. Oz Show. Dr. Blum completed her Internal Medicine training at St-Luke’s Roosevelt Hospital, her residency in Preventive Medicine at The Mount Sinai School of Medicine in New York City, and is Board Certified in Preventive Medicine. She received her Masters in Public Health at Columbia University, and her training in Functional Medicine from The Institute for Functional Medicine, in Gig Harbor, Washington. Susan Blum, an Assistant Clinical Professor in the Department of Preventive Medicine at the Icahn School of Medicine at Mount Sinai, has been treating, healing and preventing chronic diseases for nearly two decades. A Preventive Medicine and Chronic Disease Specialist, Dr. Blum is the Founder and Director of Blum Center for Health in Rye Brook, New York, where she leads a large, multi-specialty team of physicians, nurse practitioners, nutritionists and health coaches, all providing cutting edge Functional and Integrative Medicine services.